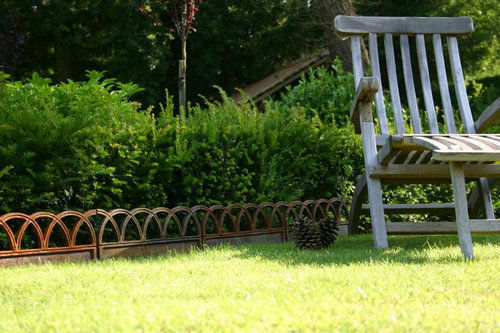 For centuries discerning gardeners have been using cast iron edging for lawns and parks all over the world. The Bordurette brings back this authentic touch. It is a top quality product made by traditional foundries. The Bordurette is not only classically ornamental, it is also supremely practical. Easy to install, permanent and maintenance-free, it can be used as a small fence, an indicator or a border iron. The Bordurette is available in 7 models for the perfect choice for your garden!